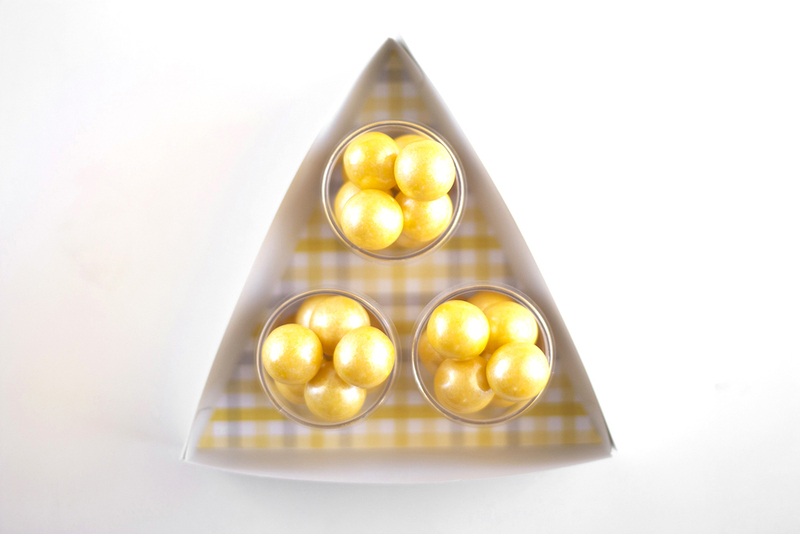 These serving trays make for such cute DIY baby shower ideas. They go quite well with my DIY baby shower favors and gender reveal ballots (coming tomorrow). However, the best part about these is you can use any card stock you like, so the possibilities of patterns, colors, + party themes are endless. So here is how to make them. 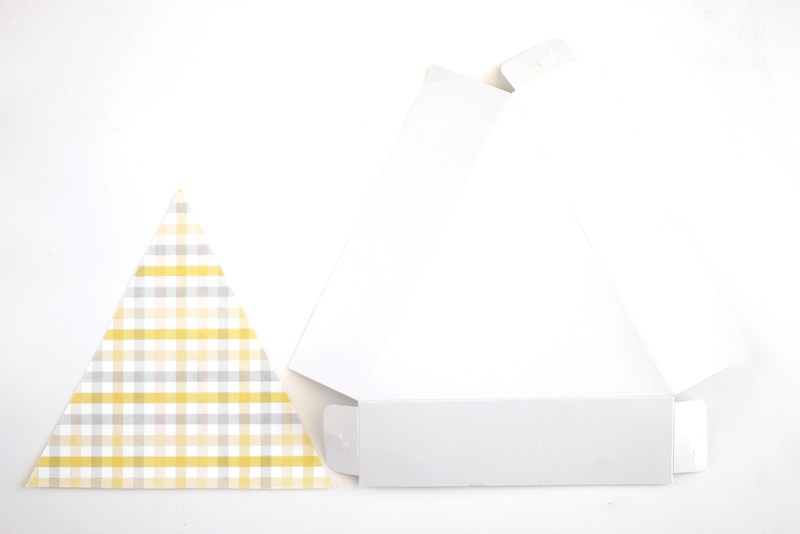 Select the Triangle Lid template in Cricut Design Space. 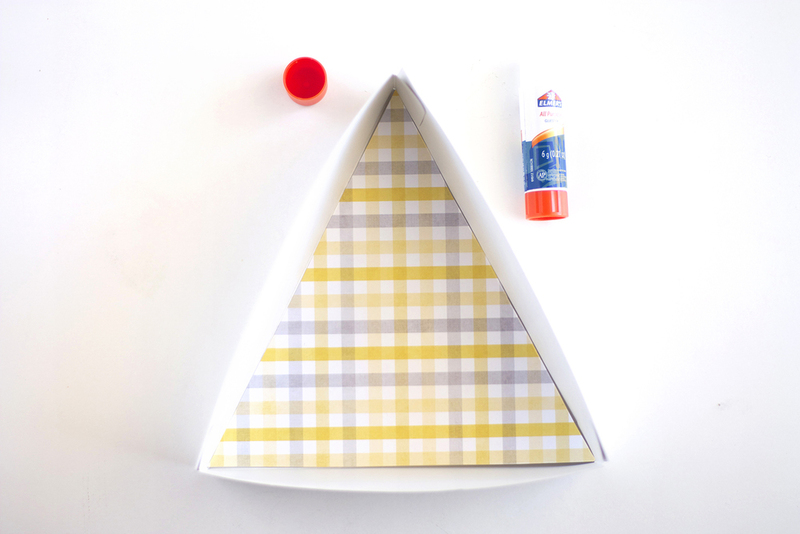 Next, upload the triangle tray insert template I created into Cricut Design Space. Using your Cricut Explore cut out the templates. Next, glue the tabs. Press the tabs together to form a triangle. Glue the triangle insert onto the bottom of the tray. Fill with pretty candies! 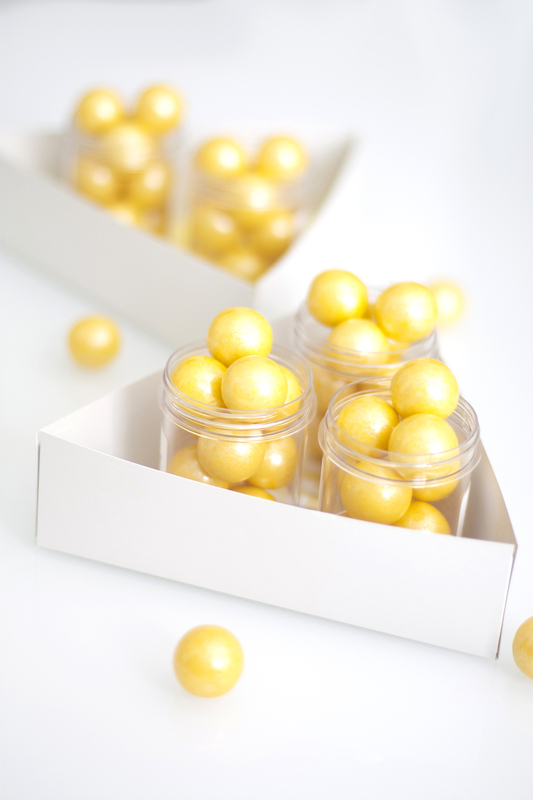 I used these yellow shimmer gum balls. This is a sponsored post. Kristi Murphy has received product and/or payment in exchange for promoting. However, all opinions expressed are my own. Thank you for supporting my blog! This is my second set of projects for Cricut, and I couldn't be happier to be working with the ladies below. Check out all of our projects this week! 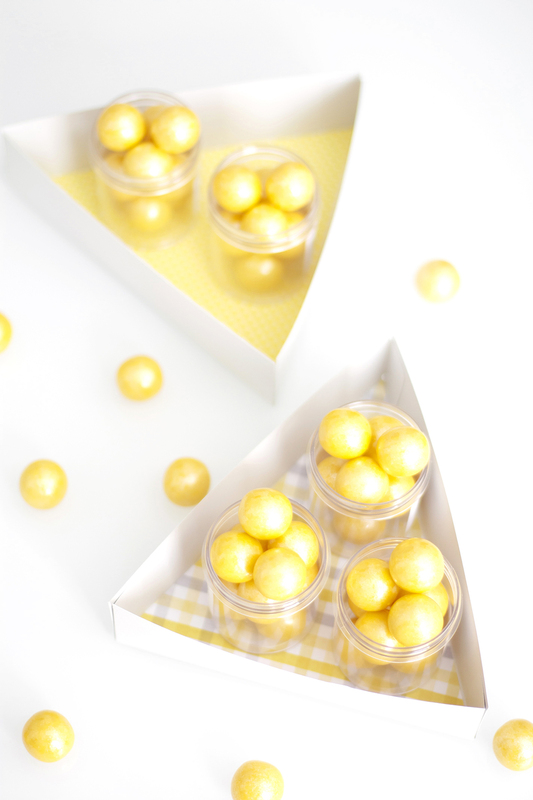 Here are some more DIY baby shower ideas in case you are planning one. Sep 18 Oh Baby Look At These Gender Reveal Ballots!